This is the first attempt at the horse's head plate. I abandoned this because I was roughing up the paper with too much rubbing-out (even though I'm using putty rubbers! ), and because I could spot a lot of inaccuracies as I was working on it. The most obvious to me at the time was the size of the eye, which seemed much too large. 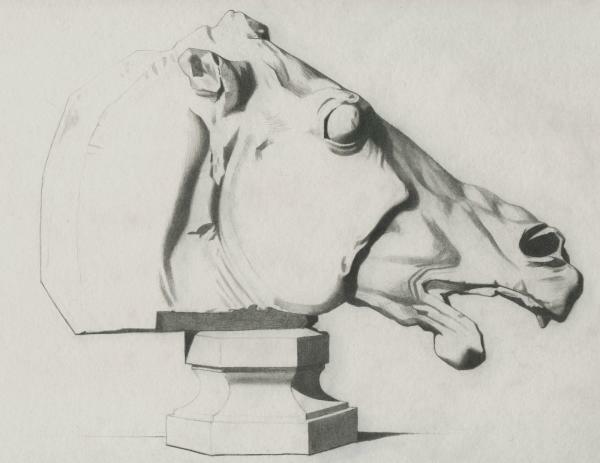 This image, Plate I, 037 - Head of Horse, Parthenon - Attempt 1, by Sam Haskell is licensed under a Creative Commons Attribution-NonCommercial-ShareAlike license.